2 Bedroom Terraced House For Sale in Chesterfield for Guide Price £140,000. IDYLLIC STONE COTTAGE WITH PICTURESQUE VIEWS, DOWNSTAIRS WC AND CONSERVATORY! 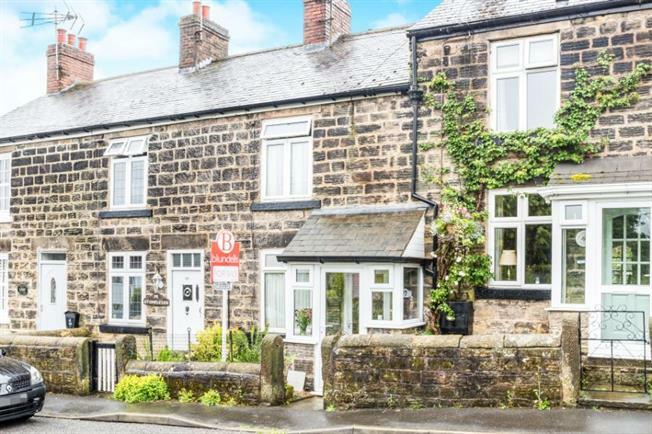 This well positioned home nestled in the village of Holymoorside really does have to be viewed to be appreciated, briefly comprising; Entrance Porch, Lounge, Breakfast Kitchen, Conservatory and Downstairs W/C. To the first floor is the front facing Master Bedroom, second Bedroom which is currently being used as a study but could be reinstated as a bedroom easily and Bathroom. There are quaint, low maintenance Gardens to the front and rear. The rear Garden is south facing and includes a garden shed. Holymoorside is a sought after village to the West side of Chesterfield offering an array of local amenities including public houses. The village also lies close to Chatsworth Road with its bars, cafes and boutique shops. Holymoorside is a beautiful location and also great for walks through the surrounding open countryside. Within easy reach to Walton Holymoorside Primary and Nursery School and approximately 4 miles to the Chesterfield Town Centre.